We enjoy seeing the U.S. 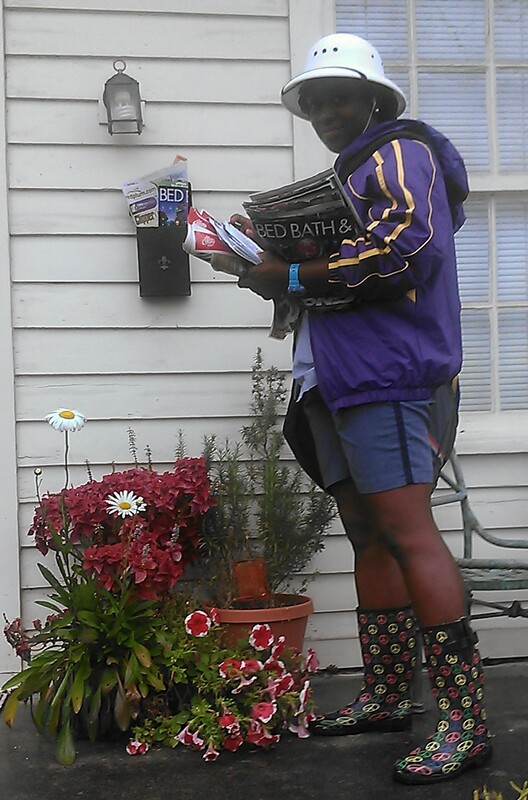 Postal Service carriers walk around to deliver mail in our NOLA neighborhood. Even when it rains, they are out and about. Thanks to our carrier for donning her galoshes and braving the elements yesterday. Hope the storm didn’t cause any damage for you. Stay safe out there!